Quaker oats recipes will satisfy you right through to lunch. Quaker oats recipes will satisfy you right through to lunch, unless you are insulin resistant as I am. It's a cereal grain grown primarily in Europe; 9 million tons per year, and surprisingly is not particularly popular in the United States; 1.7 million. Even Canada at 3.3 grows far more; it's one of the reasons why so many Americans have to take statin drugs. It has been used since the Bronze age for food, for humans and animals too. Recently it has come to the fore, high in protein and containing more soluble fibre that any other grain, giving oats its proven properties of lowering the toxic LDL cholesterol in the blood, whilst not affecting the healthy HDLs. Them Quakers knew a thing or two. 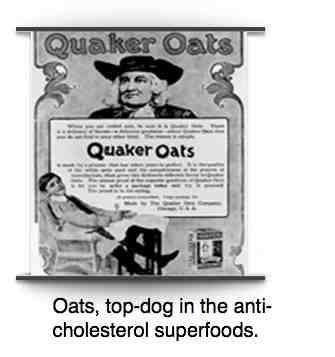 The history of the Quaker Oats companies goes back to the Nineteenth Century North Americas. Eaten either cooked as a porridge, or as raw rolled oats in a muesli, or oat meal for baking, it is relatively high in protein for a grain; higher than any of the other cereals, but has no gluten. Interesting research on the so-called 'subsequent meal effect' shows that having a whole grain like rolled Quaker oats or legumes at breakfast keeps your blood glucose lower later in the day after snacking and later meals; but if it's meal finely ground, refined and precooked then it has little benefit. Unprocessed rolled oats is one of the most commonly used 'resistant' starches; that means that it passes through the small intestine largely undigested, with no surge in blood sugar like potatoes would give, but is instead fermented in the colon to form healthy short chain fatty acids. Retrogradation is an important principle to grasp; most of the starch reaches the colon where it doesn't form glucose. Cooling and then reheating resistant starch makes it even more difficult for the enzymes to digest the carbohydrate in the small intestine. So cook enough rolled oats porridge for two or three days, chill and warm tomorrow to make it even less fattening. But beware of oats-so-easy, and the like; they are little different to cake flour. Scroll down for more about oats and gluten. Quaker oats recipes means eating a solid breakfast, but not too high in carbohydrate; it's what stops snacking at 11 o'clock. That raised protein is one of the reasons why oats fits so neatly into the low glycemic index foods. To lower it still further, add a little fat; perhaps a dab of butter in your porridge. Butter is back you know. In case you didn't know, low GI means non fattening; oats has little effect on blood sugar surges and there's no outpouring of insulin to store any sugars as fat. Oats also has the property of swelling more than other grains in the belly, by absorbing water, and is thus very filling. You can eat less, and still not be hungry. What is particularly interesting about oats though, is that it also has the greatest amounts of soluble fibre of all the cereals. It's this soluble fibre than prevents cholesterol eaten (say from meat, cheese, milk, butter, cream) from being absorbed into the blood stream. Some reports state that a cup of oats a day will reduce your cholesterol by up to 25%; for many that means you could go off statins with all their nasty side effects. 100g of rolled whole oats contains about half your daily requirement of thiamine; a touch more than a cup. But stick to these Quaker oats recipes, because the refined stuff is fattening and nutritionless; most of the goodies have been removed and sent to the hogs! This website isn't about making pretty-pretty food. It's about healthy food that you can throw together in a minimum of time, so that you and your children can go off to school and work with a belly-full of healthy food. Food that you will find tasty and satisfying, that won't leave you starving at 11 o'clock, and won't make you fat. Not unimportant, I think you'll agree, and Quaker oats recipes play an important roll. Berries are favoured by those on ketogenic diets, though I'm not sure why; they still have plenty of fructose, but that is no bother to me in the context of the whole meal, and the benefits of all the phytochemicals in fruit. I mix up the various different favourite dry ingredients. It takes less than five minutes. Add your own favourites, what's in season, but never forget it's Quaker Oats recipes! 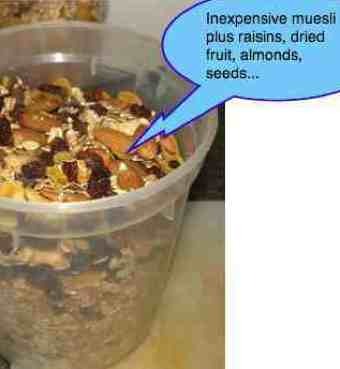 Don't forget the oats muesli! Quick hummus can be made in just five minutes. Breakfast should of course contain a serving of protein, and whilst that in your Quaker oats recipes is relatively high for a cereal, it's not adequate. So what are the options? Meat? Nope, you can only eat meat max once a day. Otherwise the big C. An egg? Yes, that's an option, but how's your cholesterol? We often enjoy eggs Florentine poached on a bed of spinach. Cheese? High in fat, but fine if your cholesterol is within the normal range. Fish, yes, that's a good option, though time consuming unless you have some salmon left over from last night. In Holland we have a wonderful herring food called rolmops but it's difficult to get elsewhere. As a chiropractor, I usually work solidly without a break for four hours before lunch; tomorrow it will be seven hours, but that's the exception, and I don't recommend it. Without some protein I'm famished by 11 o'clock. I admit to being odd, but a couple of scoops of this homemade authentic hummus recipe without the garlic sees me home to lunch. 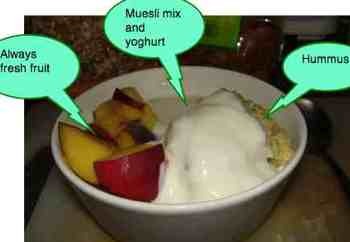 Rolled oats, fruit, nuts, seeds, hummus and yoghurt; it makes a wonderful breakfast put together in a jiffy. Cover your rolled oats muesli with boiling water, and if it gives you indigestion, it does to me, nuke it for one minute; allow to stand for a while so that the rolled oats can absorbe the water. The complete breakfast, carbohydrate, protein, the healthy fats for your brain and nerves, fresh fruit full of antioxidants, yogurt... I promise you, you won't be snacking between meals. 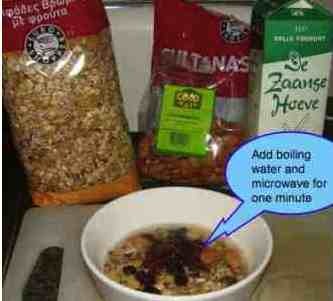 In some folk, raw oats, and even lightly microwaved oats, cause severe indigestion and heartburn. Then you simply have to get the spurtle out and gently simmer your oats for five or ten minutes. 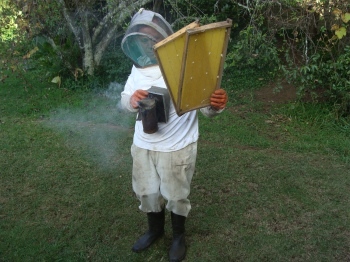 Add a teaspoon of raw honey, a little butter and or cream, and you have an equally good meal; only you then have to wash the pot which is a little tedious, but better than a knot in the stomach. Quaker oats recipes are made using only wholemeal rolled oats; it won't give you a blood sugar rush, but if you are obese, or diabetic, then test your blood an hour after breakfast. Has the glucose risen abnormally? Any minute now "she who must be obeyed" is going to be calling for her tea! Why must you START with tea? INDIGESTION HEARTBURN is a serious problem for many of us. 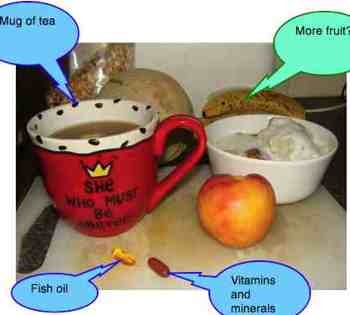 There's research now showing the anti-oxidant effect of tea is reduced by adding milk. Of course, no sugar or chemical sweeteners, but a few slices of mandarin, or peach, or lemon makes for the perfect weak black tea. Add your favourite, I vary it week by week, but I think peach is my favourite, when they're in season. Generally, get your vitamins and minerals from your food; sometimes there's a place for a fish oil capsule, for example, if you live far from the sea. I take a B complex occasionally when feeling flat. They are never a substitute for eating properly. And of course, on Sunday morning, a slap breakfast to celebrate the day. Indulge in a fried egg and don't forget the mushrooms. You've earned it by being on the quaker oats recipe all week! Variation is the spice of life. Oat flour pancakes are always an option if you're needing more QUAKER OATS RECIPES! You can find our sauteed mushroom recipe by using the search function key. Drop a good dollop of butter onto a heavy pan. Medium heat. Thoroughly mix together the oats, baking powder and salt. Blend the eggs, oil and milk. Add the liquid to the dry mix and blend with a hand-blender. Add scoops into the hot butter. Here's a little caution. The more finely ground a grain, the higher the glycemic index; the more fattening it is. You can get away with it, up to a point, because of the added protein and fat; eggs, butter, olive oil and milk. Keep your oat meal pancakes for special occasions. Certainly don't add any refined cake flour as some recipes recommend; it will make them smoother, perhaps more palatable, but no longer one of Bernard Preston's healthy slow foods, made fast. Rolled oats are best. There is controversy surrounding Quaker oats recipes, and whether it can be eaten by gluten sensitive people; that's the protein found in wheat, rye and barley. These grains are usually processed in the same mills, and thus the oats becomes contaminated with traces of gluten; patients suffering from coeliac disease may be extremely sensitive to even small amounts of this protein. Is oats gluten free? Yes, but it has the highest proportion of protein of all the cereals; around 20 percent. 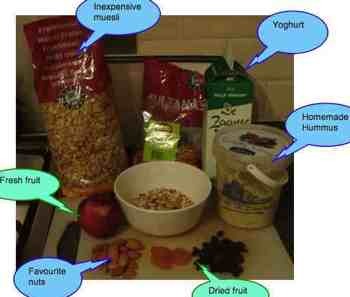 It would seem that a few coeliac patients are still sensitive to some of the amino acids in oats. Generally, it's allowed for these persons, if it's pure and uncontaminated by other grains; that's extremely difficult to guarantee. Do you suffer from chronic diarrhoea? Try cutting out all these grains from your meals for a month. You may be surprised; talk to a nutritionist for details of a gluten free diet. Personally, having had such success with kefir benefits, I'd rather try that first to normalise the healthy flora in the gastrointestinal tract. One good alternative is the use of sourdough. The long exposure to lactobacillus breaks down the offending amino acid proline chains that are the spoke in the wheel. You might even try this sourdough bread recipe. Read more about the meaning of gluten and how you could quite likely still enjoy your loaf of bread. If you don't look after your bod, where are you going to live when you retire, huh? Take half a cup of rolled oats, add a cup of boiling water, half a teaspoon of salt, and bring to the boil. Add two tablespoons of raisins or pitted dates. Bring again to the boil and then allow to rest for half an hour. Stir using a spurtle, making sure it doesn't stick and burn. Add more water if necessary to give it the desired consistency and now boil for 10-15 minutes making sure it doesn't boil over. Enjoy with honey and a dollop of cream. The perfect start to the day; omit the cream if you have high cholesterol; or just a snitch!